Each Nguni carries a different pattern with its own name and significance for the Zulu people. 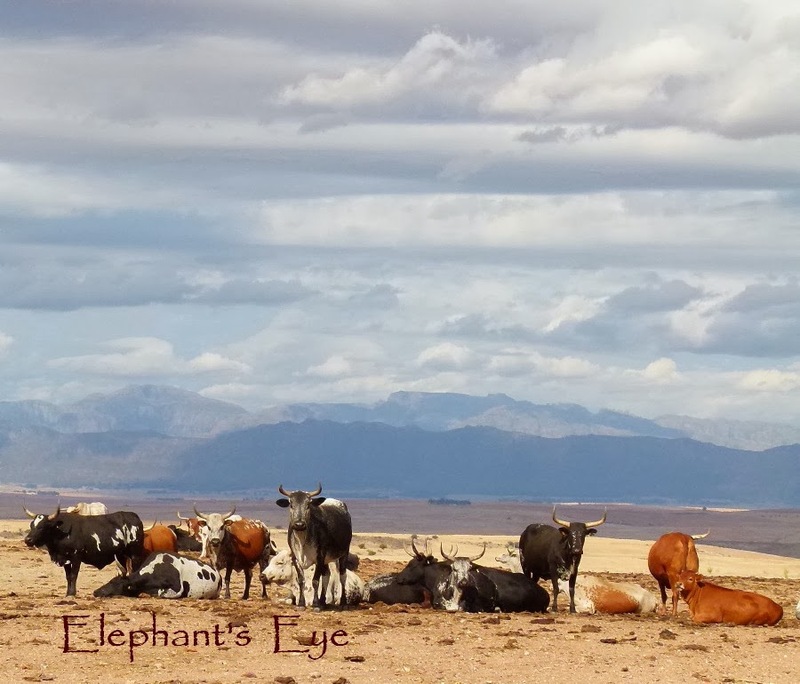 Ever since the first Nguni post was published – Nguni have been my most popular downloads! We chose Porterville to hike on the nearby mountain. 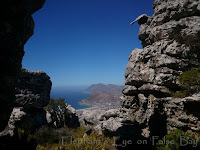 We travel up the Dasklip Pass just beyond the town. 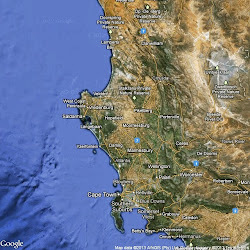 To Groot Winterhoek World Heritage Site (3/4 hour). 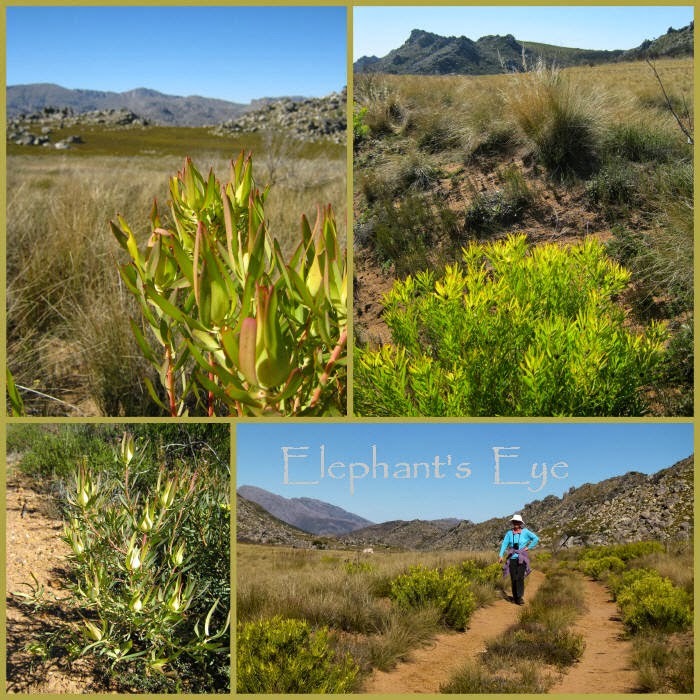 This time – we found the sunshine bush, a Leucadendron. In 2009 there was a fire on our mountain and we saw ash and charcoal become lush green and fire lilies. Malgas lilies near Moutonshoek (3/4 hour) right place, right time! 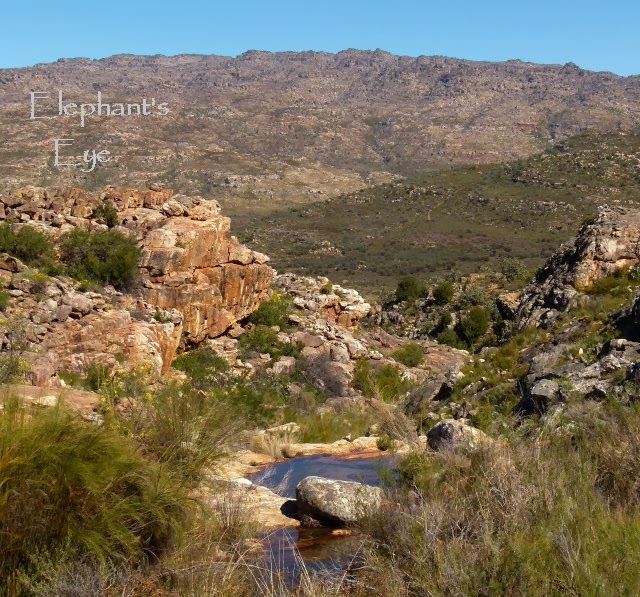 At Driehoek (2 hours) in the Cederberg my husband volunteers with the Cape Leopard Trust. We also chose Porterville to see the spring flowers along the West Coast and up to Namaqualand via Clanwilliam. The West Coast Park and Langebaan Lagoon (1 1/2 hours). 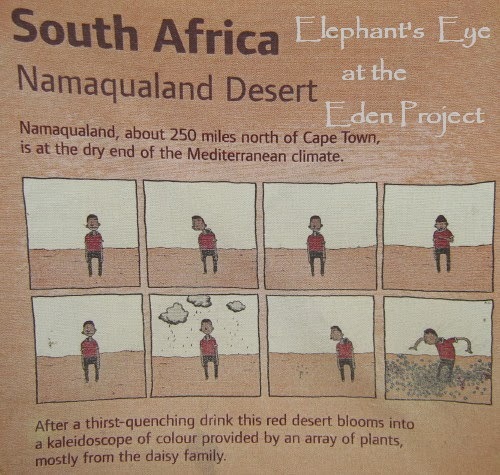 Heading North to Clanwilliam (1 ¼ hours) flowers in the Flower Church with rooibos tea, and in the Ramskop Nature Garden. Over the mountains to the Klein Karoo around Worcester (1 ¼ hours) for the inspiration behind our aloe and succulent covered Karoo Koppie. The Karoo Desert National Botanical Garden. 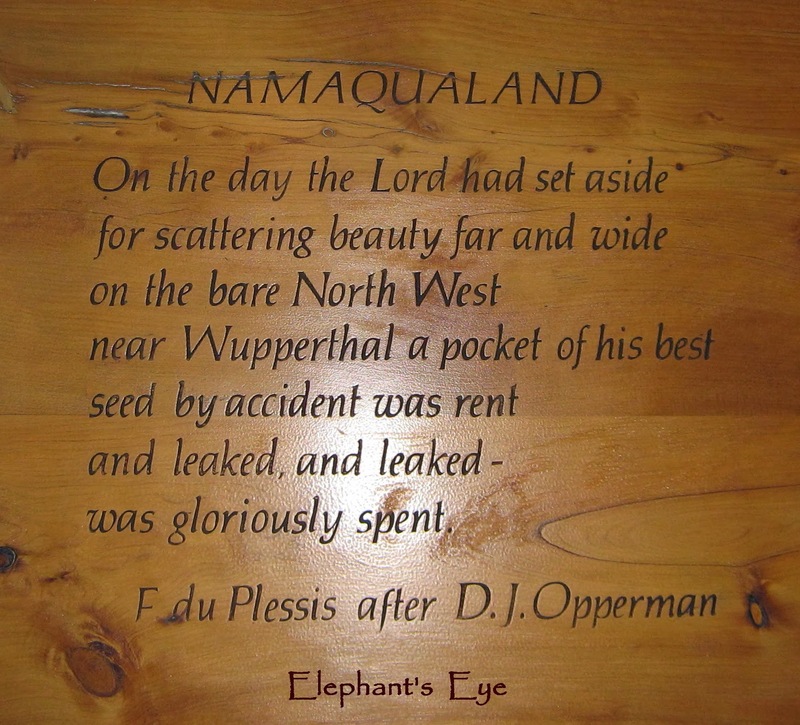 A full day’s travelling to Namaqualand, staying at Skilpad the Namaqua National Park. 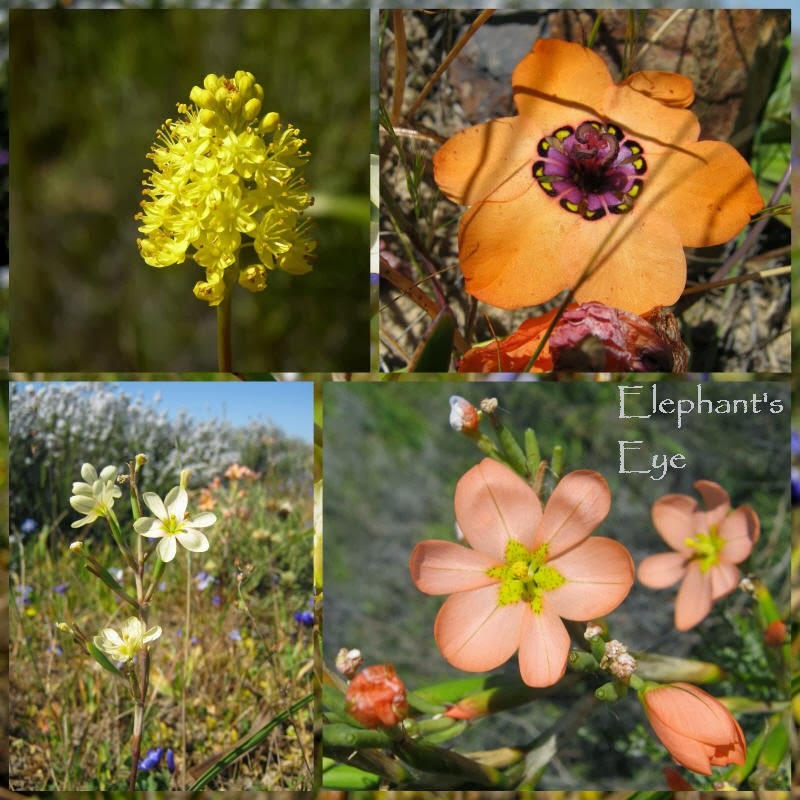 Our newest National Botanical Garden, specifically for renosterveld is the Hantam (3 hours). 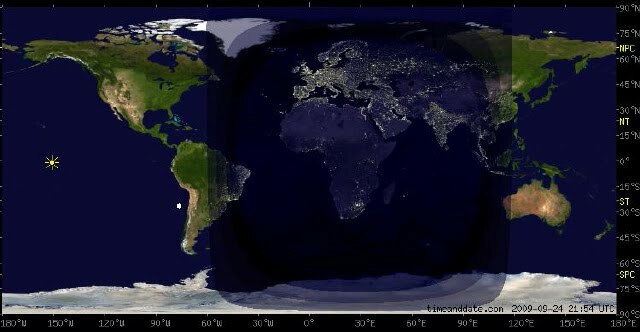 Then the West Coast and the sea. Time it right as you head for Verlorenvlei (1 hour) and you will wonder if the drifts of white, are sand, or a sea of annual white rain daisies! At the mouth of the Berg River near the salt works (1 hour) there are birds on the tidal marshes. At Rocher Pan (1 1/4 hours) sitting alone, gazing out to sea. 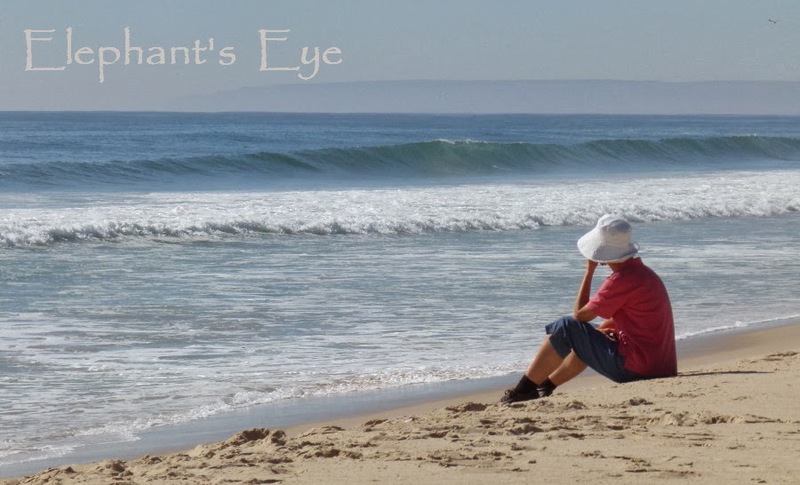 I see nothing but the sea. I hear nothing but the waves. A grey winter day in August or brilliant sunshine in December. Bird Island Lambert’s Bay (1 ¾ hours) with Cape gannets and fishing for diamonds. Cape Columbine (1 1/2 hours) where we found brash red Pelargonium fulgidum growing wild on granite, rocky outcrops. 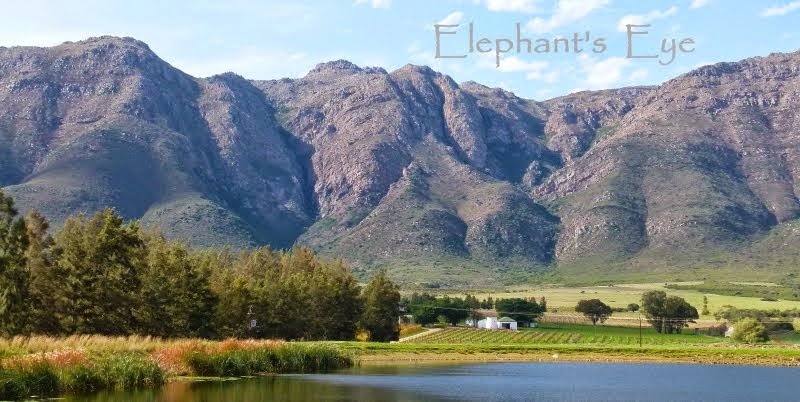 There are small country towns and wine estates to explore. Citrusdal Victorian spa in our neighbouring town (1 hour). Fairview (1 hour) goats and cheese with Goats Do Roam on their wine label. We’ve been to Franschhoek (1 ¾ hours) for open gardens, Mont Pellier and one of Monty Don's 80 gardens in 2010. 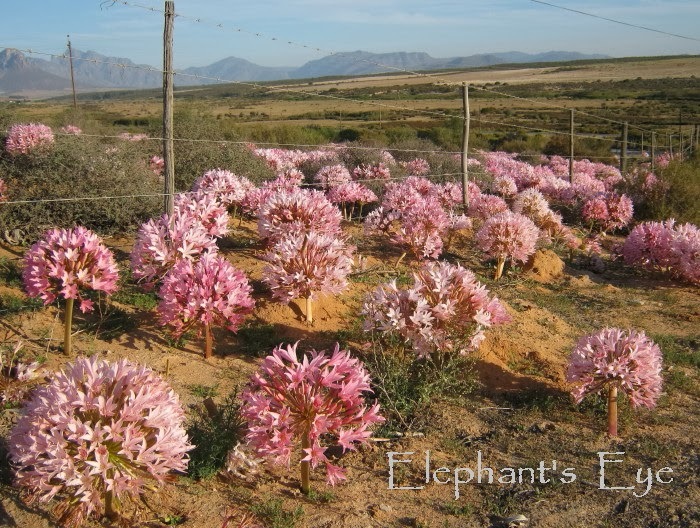 To Rustenberg (2 hours) for the Rare Plants Sale in 2009. Klein Optenhorst (1 hour) open garden in neighbouring Wellington. Finally Vondeling (1 ¼ hours) within the Biodiversity and Wine Initiative. 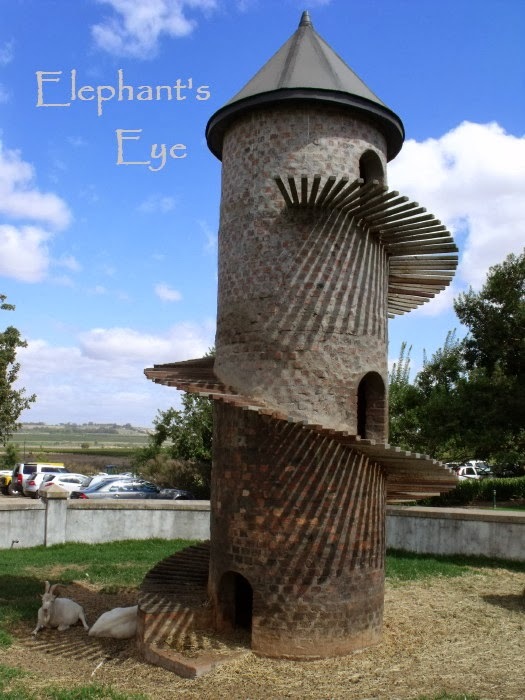 this has been most fascinating, I enjoyed it so much, the goat tower is still making me smile, such an amazing post! I enjoyed looking back over the years and gathering happy memories. The whole photo log is beautiful, but the Malgas are gorgeous! I'm surprised they aren't all over the place in San Diego. And that Goat tower, do they really go up and down it? It's a beautiful structure. Oh yes! On a grey day we walk around the enclosure and a happy goat sits in shelter gazing out thru the arch at those curious visitors. 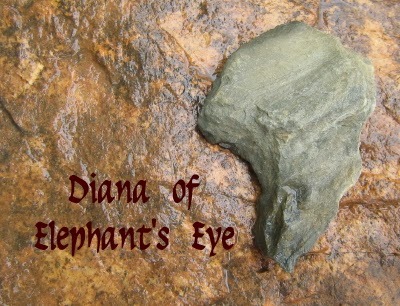 My niece and husband have spent a first year travelling South Africa, more to come. Tankwa was fun, going off grid with no electricity. That will be moving across to the new False Bay blog with the South African travel posts. With being on holiday and then a mad first week back at work between my current job and slipping out to learn my new one I haven't had a chance to visit people's blogs in 2014 yet. I should visit Porterville if I'm ever in the area. I've never been. 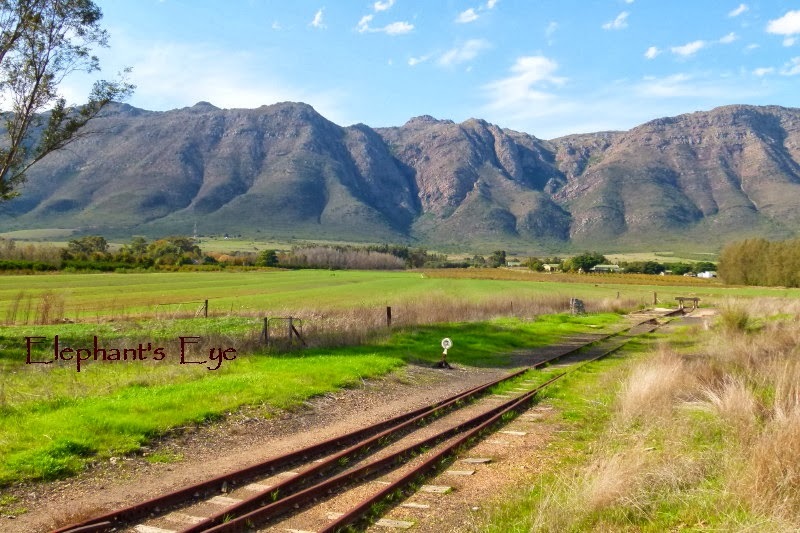 I have to say its nice and central for somebody who wants to enjoy the Western Cape.